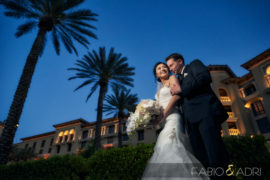 We are a Las Vegas-based husband-and-wife team who are passionate about wedding photography. We have fun, and we laugh and smile a lot, but we don’t take our craft lightly. We pour our hearts and souls into each and every wedding we photograph. We want you to remember the love shared on your wedding day and enjoy those memories for the rest of your lives. We can help you do so by creating images you will return to year after year, and make it all come alive again. We have combined the narrative voice of editorial style with the beauty of fashion photography to forge a style that has been described as bold and contemporary. Looking beyond the obvious and incorporating unique angles and creative lighting, we have created a dynamic recipe that produces striking and modern images. Our aspiration is to produce beautiful imagery that evokes real emotions and to make each photograph better than the last. And this can only be accomplished with your collaboration. After all, our work isn’t about us; it’s about you! Crafting beautiful photographs is only part of the recipe. Let’s add radiant smiles, the soft grip of hands, warm hugs, tears of joy – all of the ingredients that make your story unique. Your wedding then becomes an exploration of personalities, emotions, and light, and that’s what makes us passionate about what we do. 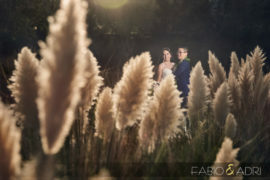 Check out some of our most recent work and how we tell the wedding story throughout the day. Even better, after you get in touch with us, we will share with you a complete wedding gallery. Your wedding isn’t over just because the cake has been cut. Once the scheduled formalities are finished, it is finally time for everyone to let loose and enjoy themselves. Often, this can be the time when some of the most memorable photos are created. How priceless is a photo of grandma rocking out some moves on the dance floor? Let’s tell the complete story of your wedding day, starting from preparations and ending with you and your guests dancing the night away. In order for you to have these meaningful moments, our basic Wedding Coverage includes up to 8 hours of photography, creating space for spontaneity and joy. There is no need to be rushed; slow down and savor the day as all the conceptualization and hard work comes together. The Wedding Coverage package can be customized to fit your day. For longer celebrations, you can add more hours. You can also add a fine art album and an engagement session for the complete wedding experience. The preferred time of day for photography is near sunset. The warmth and softness created by the sunlight glowing close to the horizon are majestic – hence sunset’s nickname: “the Golden Hour.” We also love this time of the day. 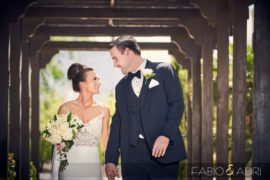 However, a professional Las Vegas wedding photographer is someone that can handle any lighting scenario that is tossed at them, consistently creating great images throughout the wedding day. We understand that your wedding is dynamic and will happen during different hours of the day and into the night. 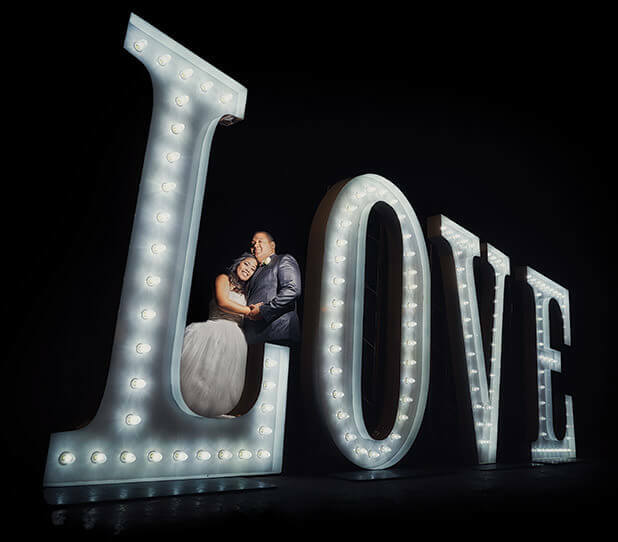 We’re prepared to deal with any light situation, and we have all the equipment and skills necessary to deliver consistent quality – from the getting-ready images to the amazing dance floor shots. 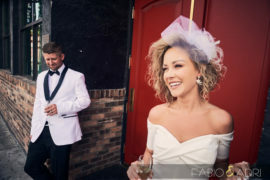 As you prepare to enter into a new beginning, we want to ensure a seamless experience from the booking of your date to the delivery of your stunning images. We are here to help you navigate the process. Starting with our first communication, we will get to know each other, talk about your vision for the day, and answer any questions you may have. There are so many decisions to be made when planning a wedding – it can be overwhelming! For one, figuring out the photography timeline of the wedding day is no easy task. For most, this is a once-in-a-lifetime event, so we don’t expect you to know how much photography time to allocate for each event. 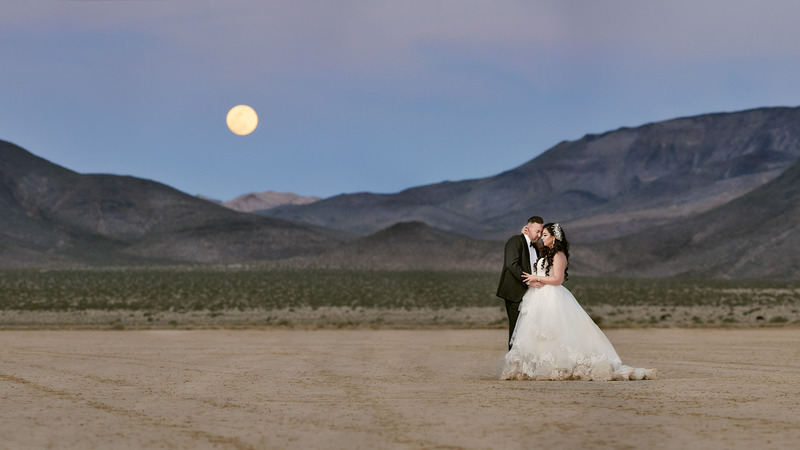 We have developed an online tool to assist you with the task of figuring out the best photography timeline for your Las Vegas wedding. The Planner will walk you through different scenarios, helping you allocate quality time for each of the day’s highlights so we can maximize our full photographic potential. Prior to the wedding, we’ll review the photography timeline and go over all of the details to ensure we are on the same page for the big day. You can access the Planner at any time by logging into your account. To tell the complete story of your day, we approach your wedding with a blend of styles that fluctuate based on the event that’s unfolding. We will start the day by photographing all the details, while the hair and makeup artist is putting on the finishing touches. During the ceremony and reception, our aim is to document the real story of your day in a creative way. We achieve that by unobtrusively capturing genuine moments as they are presented to us, without directing or intervening. During portraits, we will be guiding and directing you in such a way that appears natural. Our intention is to evoke real emotions that translate into organic poses and honest reactions. All you need to do is enjoy each other and the experience, and we will worry about the ideas, light, composition. Our goal is to craft photographs that are not only beautiful, but also reflect energy, wonder, and the real you. It is a delicate balance between documenting and actively directing to get the best out of your wedding day. 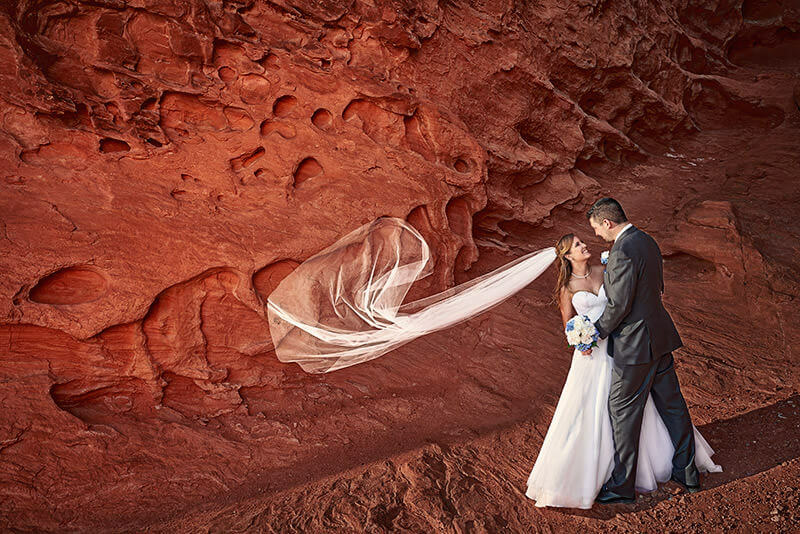 After the wedding is over, while you are enjoying your honeymoon, we will be editing your images into a stunning collection for your online gallery and slideshow. All images are selected, corrected for color and exposure, and toned one by one to bring the best out of them – no batch processing. We also pick a few favorites for special attention, above and beyond the typical image editing. We then continue with the design process of your fine art wedding album (and any other products you’ve chosen), so you can have your wonderful story ready to be re-lived and showcased. Only two weeks after your wedding day, your high-resolution images will be ready for delivery in a personalized USB drive that will include high-resolution files with rights to print. We also include a set of web-ready files for your convenience. When it comes to the number of images delivered, we make it a priority to focus on quality rather than quantity. The number of photos is determined by the amount of time, type of event, and other variables. That being said, our minimum average for a full wedding is 600 images. This number can vary, but it is meant to give you a general idea. We will share with you one of our favorite images from the day. 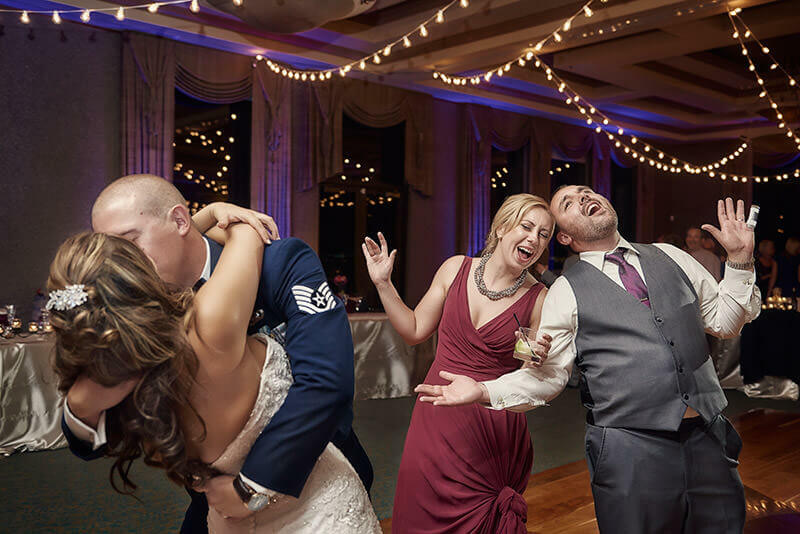 In the online gallery, you can view and share photos of the wedding day with family and friends, and order professionally printed products to adorn your walls. We will pick our favorite images and create a custom slideshow with the highlights of the day. The slideshow will be posted in your private online gallery so you can watch it over and over again! Check out a sample of the video slideshow included in your Wedding Coverage, where you can easily share the story of your day with family and friends. You are taking off on a new and exciting adventure, and we are thrilled you’re considering us to capture your special day. After all, choosing your photographers is one of the most important decisions you’ll make when planning your wedding. Check your date for availability, and let’s get started!